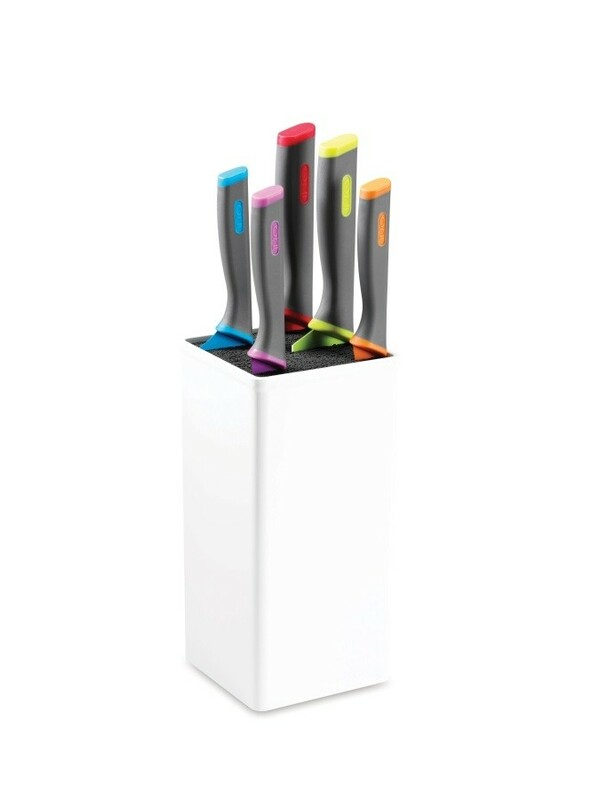 The Orii cutlery collection combines form and function to enhance any kitchen setting. 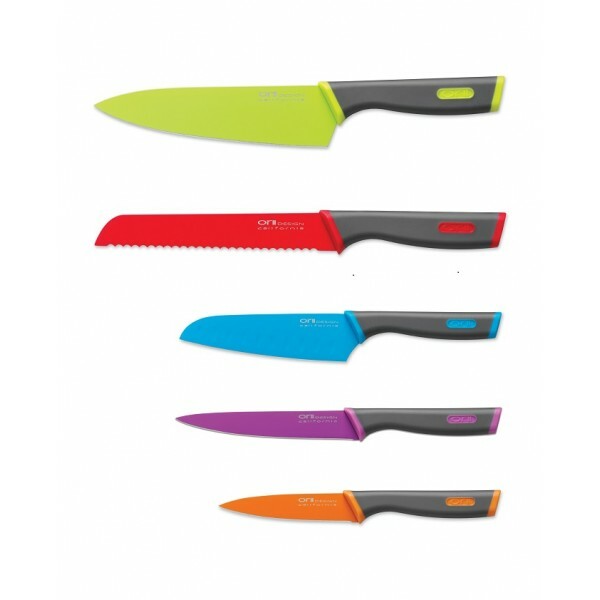 From meats, poultry, and fish to herbs and fruits as well as breads of all varieties, these beautifully-finished knives provide superior cutting edge performance. 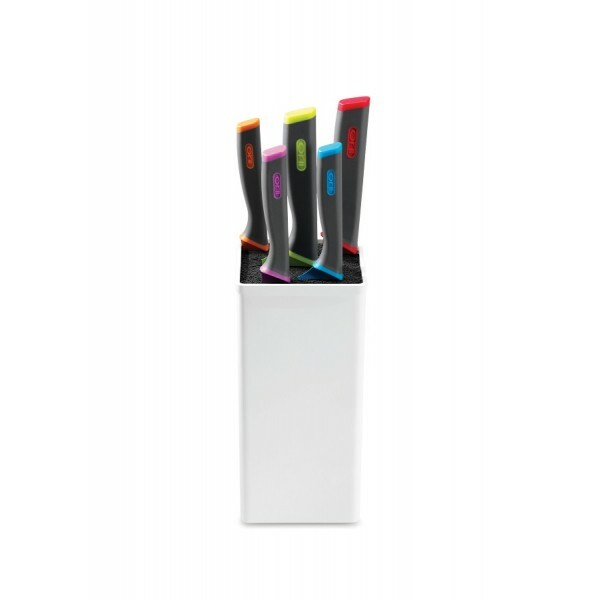 •	Soft, form fitting ergonomically designed grips provides greater comfort and control. 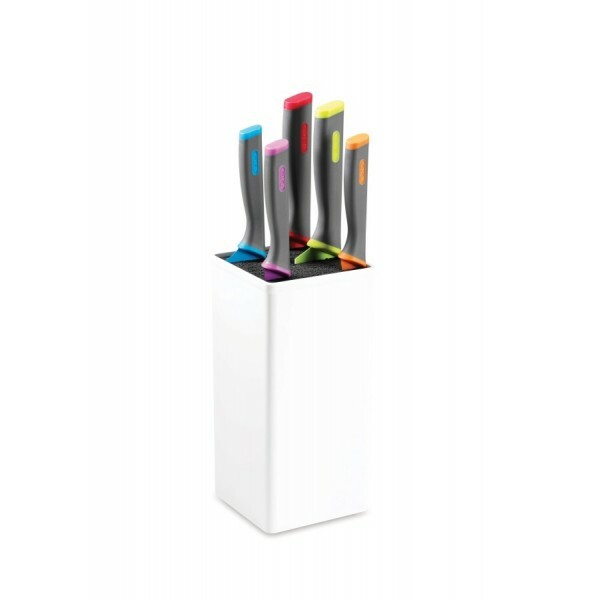 •	Orii universal knife block exterior is made from durable ABS in a high-gloss white finish. 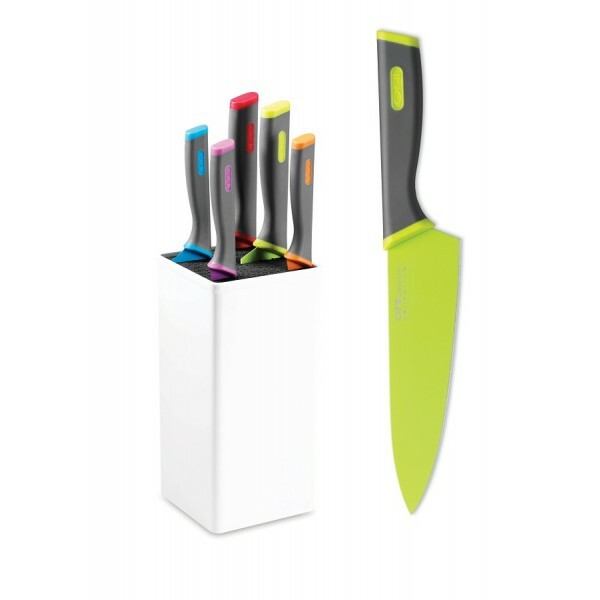 It features a removable inner sleeve of flexible PET fiber strands to protect and keep the knives firmly positioned in any desired order. 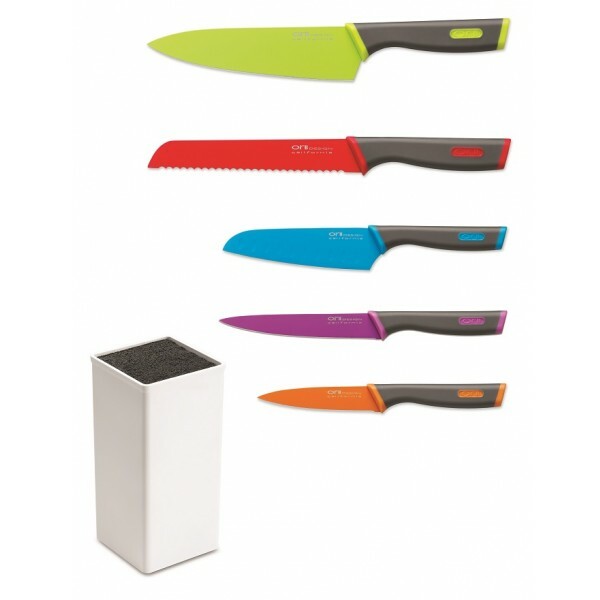 • The block also offers the versatility of accommodating other knives with blade lengths up to 8”.